Brentwood Marine | Welcome back to the 2019 Boating Season!!!! Welcome back to the 2019 Boating Season!!!! Please remember that EVERYONE needs a Pleasure Craft Operators licence this year. Everyone driving the boat has to be licenced or face hefty fines. You will be charged even if the owner of the boat has a licence but the person driving does not. The owner will also be fined. Avoid this by getting licenced on line now. Use our link to the BoaterExam. Brentwood Marine is a private Marina located on the south shore of beautiful Kempenfelt Bay on the banks of Lover’s Creek in the City of Barrie. Even though we are located in the city of Barrie once you are here you feel a world away. Brentwood Marine is less than an hours car drive north of Toronto. Brentwood is close to all amenities: Shopping, restaurants, galleries, theatre and much more. Do you need your Boater Exam®? 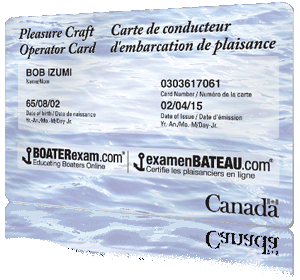 All operators of recreational powered watercraft who operate within Canadian waters are required to have their Pleasure Craft Operator Card (also commonly referred to as a Boating License or Boat Card).